Organization isn’t a universal thing, is so different for each of us. There are those born with the knack, while the rest of us don’t even know where to start. I was the latter (just ask any one of my childhood friends) I was a total slob. You know, things like stuffing dirty clothes into curtains and behind pillows. 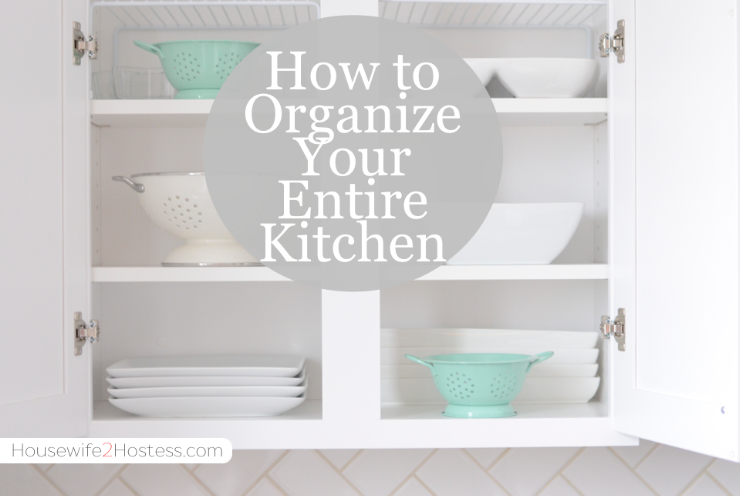 After I moved out on my own I wanted to become more organized, but didn’t have the time, tools or pinterest to learn from. I was finally able to dedicate a good chunk time to getting certified in professional organization when I started staying home with my babe. If you’ve seen my kitchen (the one area that I’ve mastered) you’ll quickly learn that I like it nice and tidy. I am all about systems. In this example, everyone using the kitchen knows where the silverware belongs and can put them back in the correct place once they have been cleaned. 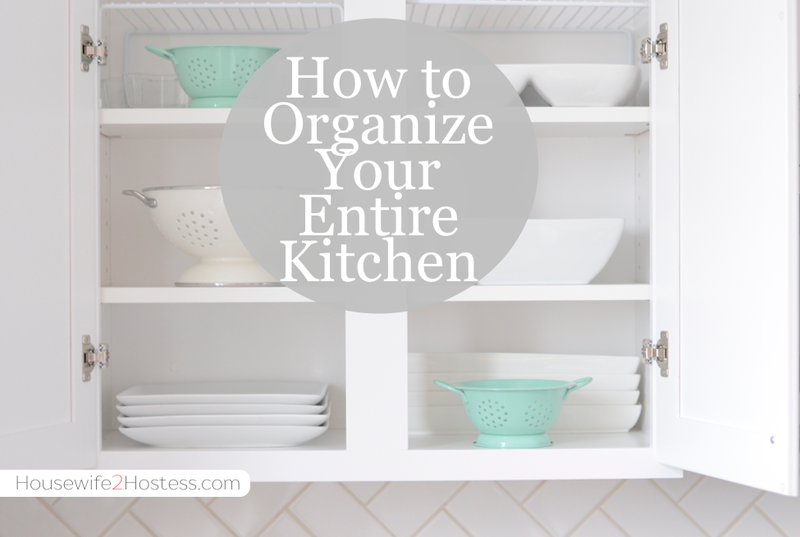 If you were to take this same concept to the rest of your kitchen you might find that it will be organized more of the time, hopefully. 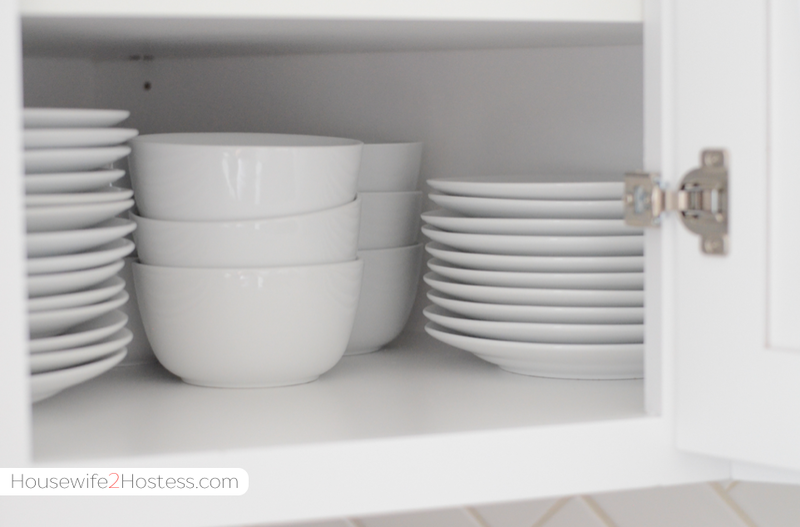 Maximize efficiency in cabinets by putting the most used items on the bottom and those seasonal items like holiday platters on the top sections. I recommend having the same kind (or size) of bowls and plates all together. Ie: No mixing kid plates with dinner plates. If you separate those different types of items you’ll never have to take from the middle (making a bigger mess) to get what you want. 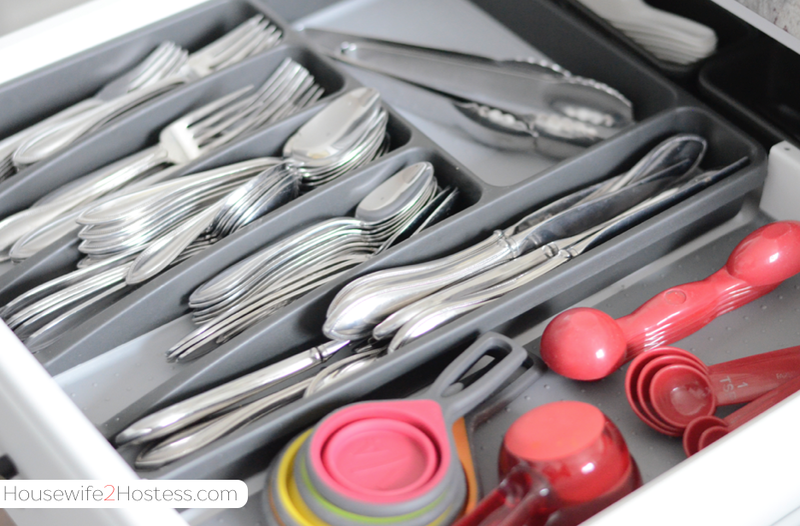 Tools are a huge part of my organizational success. This spice, medicine and oil cabinet for example, I have five Lazy Susans. 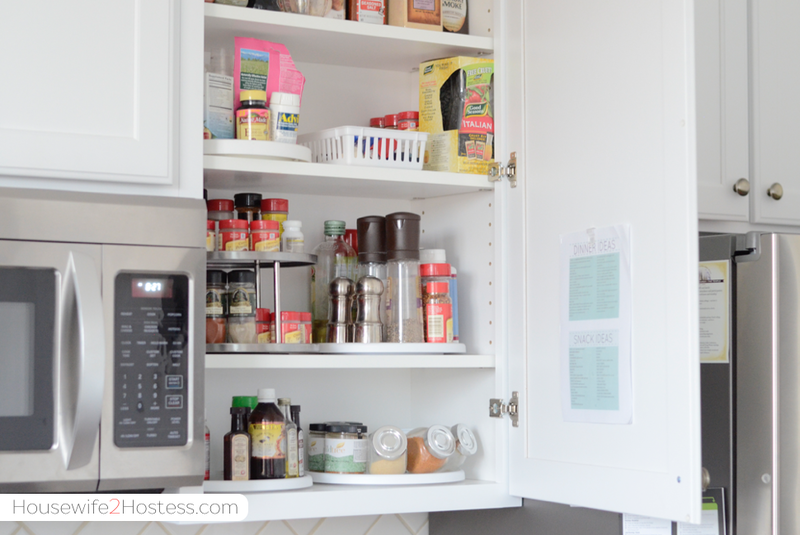 This makes it easy for me to get things from the back of the cabinet without having to move anything, rarely I’ll move one or two things on the spice racks. But putting things back is a snap. Pots and lids are a pain to keep organized. So far the best system I’ve come up with is nesting less pots and pans and keeping the lids in an upright slotted organizer. If any of you have a better way PLEASE comment below!!! I would love to hear all about it. The essentials in my pantry are: Large bins, stackable bins, 14 inch turntables in the corners and beautiful, beautiful labels. 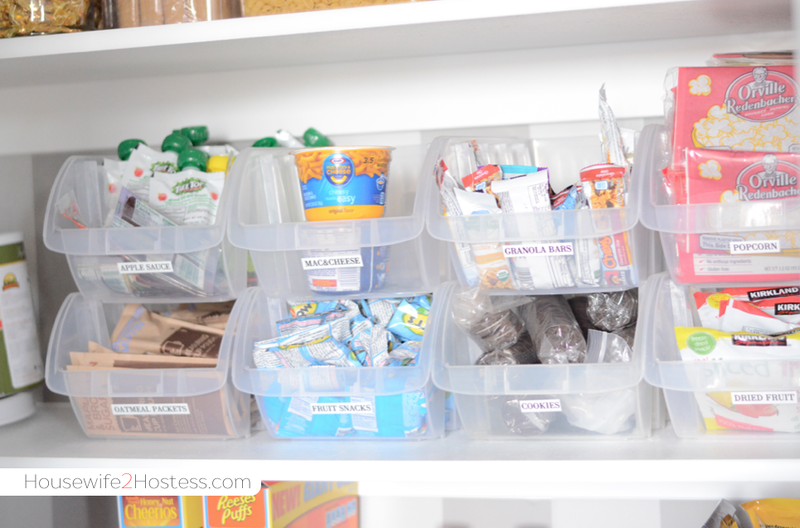 By separating the snacks, I come home from the store open the individual boxes and fill the labeled bin, no messy or empty boxes in my pantry. My pantry can best be experienced/ seen in this video. 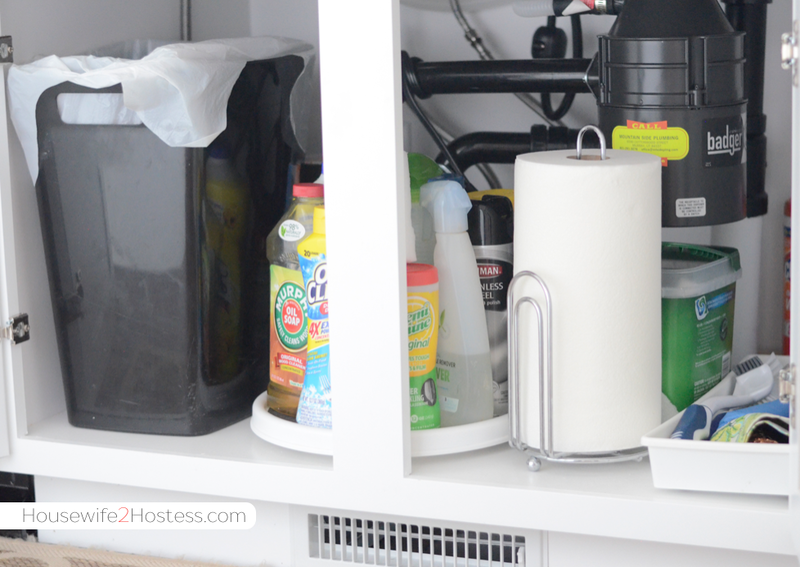 Don’t forget to organize under the sink. I keep my sponges, brushes, gloves and steel wool in a long container to keep any moisture off the actual cabinet floor. I also love having the paper towels out of site, I’m a huge advocate for less counter-top clutter and will never go back to the paper towels in plain site. You guessed it, another Lazy Susan to hold all of the cleaning supplies and dish washing aids. The trash can also sits under the sink and behind it are the refill bags. Check out this video of my under sink organization of my last house. Questions? Leave them in the comment section and I’ll get back to you! Where do you get your Lazy Susan’s? Great pot/pan organizer from Amazon! 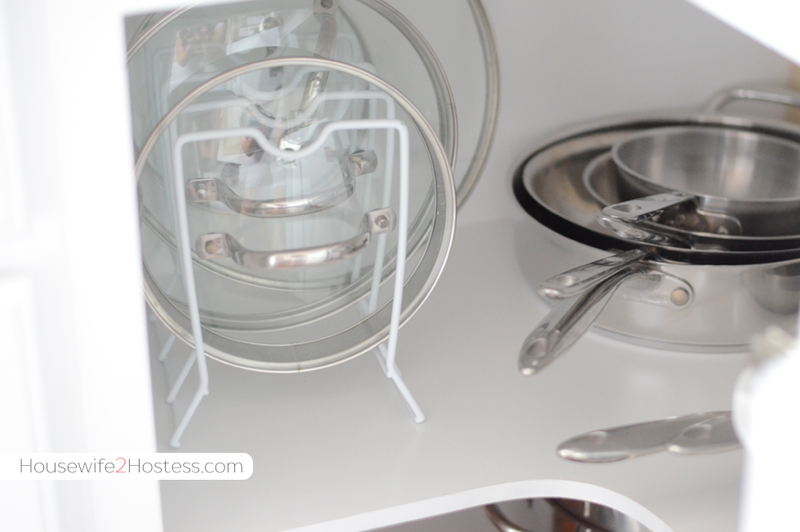 Lots of creative storage in Amazon’s Home & Kitchen. I also use the cookie sheet type tray slots for flatter pans and lids! where did you get the stackable bins? They are from Harbor Freight!